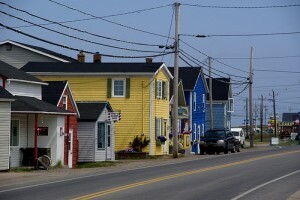 The colourful Acadian settlement of Chéticamp, on the west coast of Cape Breton island, is a small but burgeoning tourist hotspot, right on the Cabot Trail and with many outdoor activities to choose from. Linking much of the town together is Quai Mathieu, a boardwalk running through the downtown and along the harbour that springs to life on summer evenings with traditional music and dancing. Chéticamp isn’t a big place but get your bearings by stopping first at the cultural centre Les Trois Pignons, where you’ll find a tourist bureau and a museum housing hundreds of traditional tapestries. The Co-operative Artisanale is another highlight for those keen on learning about Acadian history and culture. There’s a free museum with displays on all aspects of traditional Acadian life. When it comes to more active pursuits, whale watching and deep sea fishing top the list of things to do. These can be arranged from a variety of operators and all leave from the government wharf downtown. Back on firm land, you’ll find plenty of hiking in the Cape Breton Highlands National Park, just up the road. Golfers will want to check out the Le Portage course, famous for its fantastic views over the Bay of Saint Lawrence, and swimmers will find it hard to beat a dip at St. Pierre Beach just to the south of town. For something quirkier, Joe’s Scarecrows are another local attraction. You’ll find Joe Delaney and his stuffed friends just outside Chéticamp, in St. Joseph du Moine. The scarecrows originally went up to protect Joe’s vegetable garden but his collection of more than 100 funny folks is now a popular tourist stop. Pull over and have your picture taken with a few of the locals! Back in Chéticamp, a few quiet moments can be found at L’Église Saint-Pierre, the local Catholic church. Its frescoes and stained glass windows have earned it the reputation of one of the most beautiful churches this side of Quebec. 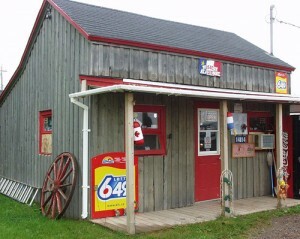 Stop in at the Sunset Art Gallery to pick up a loaf of bread at the on-site bakery, Boulangerie De L’Est and admire the work of no less than 15 Cape Breton artists. For the very brave, the Co-operative Artisanale has a restaurant serving up meat pie and other local delicacies like blood pudding!